At the beginning of April 2001 an infant named Ariel Yarad was critically injured by a mortar that exploded in Gush Katif. He was rushed to the hospital with no signs of life. But the medical staff managed to save his life, and he was in rehabilitation for no less than 12 years. 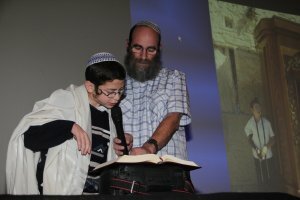 Last Monday Ariel celebrated his bar mitzvah at the Western Wall shortly after he finally reached full recovery. Thank you for some good, inspiring stories. We need to hear more good endings like this to give us chizuk! And this was just ONE of the injured… Very heavy when I think about how easily I discount “just” injured in a terrorist attack or rocket H”Y. 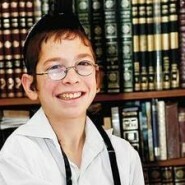 Boruch Hashem he had the opportunity to recover and go on to celebrate his Bar Mitzvah. Mazal tov and may you go from strength to strength.